I’ve been thinking about what the best format is for my next laptop for a long time. My good friend Zack blogged about his views and some of our discussions on his blog a while back. I think many of us have been thinking about this since the release of the Newton. A few things got me thinking about this again. The announcement a few weeks back of the iPhone 3G for one. The debate has been raging in the trade papers and blogs. 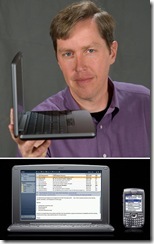 Even Michael Arrington of TechCrunch fame recently dropped the gauntlet and posted his plea for a better net tablet. There are quite a few products that over the past couple of years have had me yearning for a new gadget doesn’t exist yet. Let me walk you through some of these before I let you in on my gadget lust. The dropkick by Palm of the Foleo last year raised the question in my mind of what I’d want from a device like that. The Foleo was announced to great fanfare by Palm but general hooting and catcalls from pretty much everyone else. I have to admit I agree with most folks. This was mostly a solution looking for a problem. They were on to something but unfortunately they botched on the execution. The main problem with the Foleo was the form factor. I already carry around a laptop. Would anyone really want to carry around another device that’s pretty much the same size, shape and weight as my existing laptop? I know I don’t. On the other hand they did have quite a few things that I think they were pretty smart about. Palm was definitely on to something. I absolutely want another device. But I don’t want to replace my laptop. I want something I can use as my personal organizer. The original Palm device (remember the Palm Pilot?) pretty much defined the personal organizer category. There were other personal organizers. I personally carried around a Sharp Wizard for a while, for example. 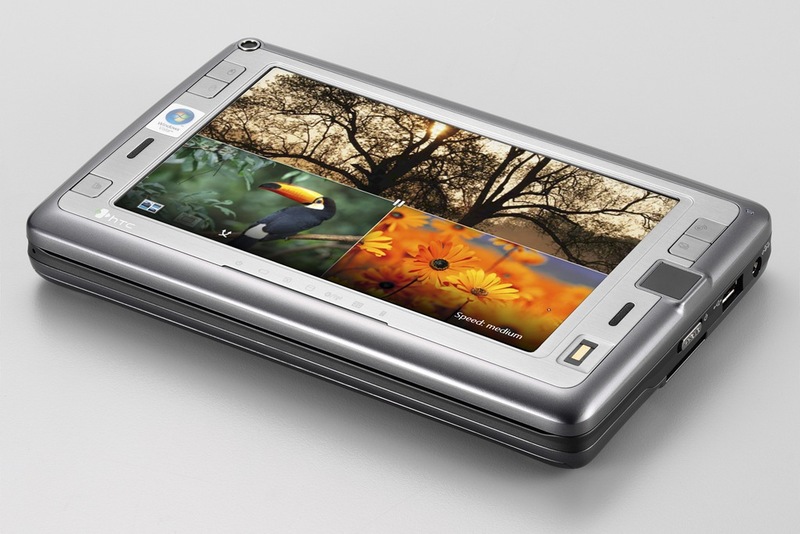 Palm recognized that my life was on a PC and I only needed the personal organizer when I’m mobile. I needed a really small device that could grab, from my PC, all of the important data that helped me to organize my life. 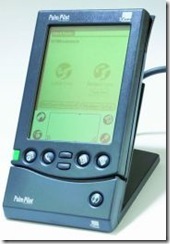 The Palm desktop was the killer app for synchronization. In fact, I think I had a Palm t-shirt for a while that had the tag line “I Sync, therefore I am.” :) They definitely got it back then. Organizers haven’t really progressed much from then. Sure the convergence with the phone has made it easier by allowing me to carry only one device. Also, I can add all sorts of apps to my smartphone that do many wild and wonderful things. Palm got that too. So I think the personal organizer is pretty much done when it comes to all the structured data I keep about my life (Calendar, Contacts, and even email). I still take a plain ol’ paper notebook to most meetings because doing that sort of thing on a laptop is a pain. I’m not really sure that this is was the problem that that Palm was trying to solve. They certainly were trying to introduce a new category of gadget but what that was and why was never really clear. The Foleo was also positioned as a “Phone Companion.” I’m not sure about this one but I’m willing to give them the benefit of the doubt. I think they were actually a little early on that. I can see how keeping the number of radios in a device to a minimum can do wonders for extending battery life. I know that I am absolutely never without my mobile phone so I guess it might make sense to centralize all communications through one radio on one device. On the other hand, looking at the market reaction, not having WiFi on this device was probably suicide. The problem that needs to be solved is the problem of gathering and organizing unstructured personal information. I want a device that I can take to meetings to take notes, manage the information for the many projects I work on. A device that does that well simply does not exist today. Ohhh… Aren’t you just so cute? Following on the heels of Palm’s failure, the latest craze with computer manufacturers is the tiny little laptops they’ve been tripping over themselves to introduce. 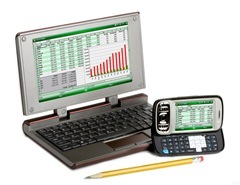 Or should I call them notebooks… er… netbooks… cloudbooks… mobile internet devices… ultra mobile devices. What do you call these anyway? Whatever you call them, these are interesting for a number of reasons but don’t really solve a enough of problem that I have, to make them worthwhile. Asus started this trend off when they introduced the Eee (I think the e is silent :)). When that was a runaway hit it was quickly followed by Acer, HP, and many others. The latest is the Dell E (just like the Asus Eee but with 2 fewer vowels so we pass the savings on to you :)). I was amazed when I first saw one of these in real life. I found it on the counter of a gift shop with an app running that allowed customers to add themselves to the gift shop’s mailing list. It was freaking tiny. It’s kind of like other people’s kids. It was just so cute but I wouldn’t want to have to live with it. While the form factor on these is great (they certainly are small) I’m not convinced that everyone will want one of these. I think there’s a limit to how small a screen can get before the text is just too small to be usable. You can say the same about keyboards. Once they get too small they are just impossible to type on unless you have tiny hands or use the two-finger hunt-and-peck method of typing. These are productivity killers. Microsoft has done a lot to improve on laptop productivity with all the work on Tablet PCs. The software on these is fantastic. Inking and recognition is incredible. Especially on Windows Vista. Unfortunately, the hardware has not been built yet to exploit this fully. 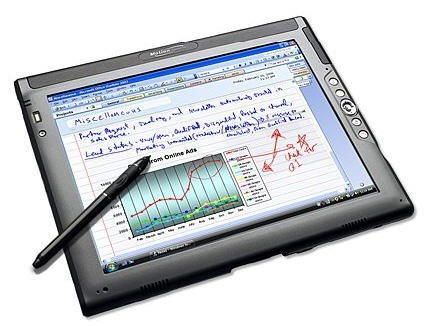 I’ve cycled through a few tablets over the past few years including the Toshiba M200, Toshiba M4 and the Toshiba M400. Each has had it’s own set of problems but mostly the problem has been that Toshiba never took much of a leap when designing these. All of them were convertible tablets. They could function as both regular laptop and a tablet. With a flick of the screen they convert from laptop to slate. I almost never do that. So this category in my mind never quite made it. They tend to be ok laptops or ok tablets. Although I’ve never had the opportunity to use a pure slate tablet PC, I think these were a much better idea. It’s a shame they never took off. There are still a few manufacturers of these but they tend to be dedicated to vertical industries (logistics, education, health, etc). Here are a few of the manufacturers: Amtek, Electorvaya, Fujitsu, Motion Computing and Tablet Kiosk. With the exception of Fujitsu, they are not well known names. The tablet team took a detour a few years back when they introduced the UMPC (code-named Origami). These were an interesting bunch that also missed; by a wide margin, I think. They did a fantastic job of building the hype on these and then fell completely flat. The UMPC was targeted at consumers looking to have a PC that they could carry around to manage their media and browse the web. The problem was there were not a whole lot of consumers that needed that. These devices were all some combination of too big/small, too slow, too heavy, too expensive. There were none that stuck out as machines that I (or anyone I know) would want to have. 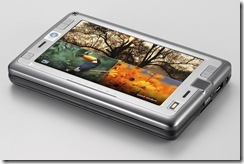 Samsung came close with the Q1 but that has suffered from creeping featuritis and over time has become a FrankenTablet. If they had kept it really simple and cheap they would have more of a success with this today. HTC also has the Shift in this category. OQO has shipped their tiny device. Paul Allen’s Flipstart has even shipped a product apparently. Nokia has done pretty well in this category with their Internet Tablet (a linux device) but it also is a miss as there’s just not enough apps for it. If all you need is a portable browser then it might work for you. As it is I think the iPhone has pretty much taken over this category. It’ll do anything a UMPC can and it’s relatively cheap (to buy) and fits in a pocket. Windows Mobile has made some major inroads for Microsoft in the smartphone market. We’ve done a great job of putting together an offering that will appeal to the enterprise user. We have not done as good a job of addressing the needs of the consumer. This again is where the iPhone is doing well. I’ve gone through a number of Windows Mobile phones including the Audiovox SMT5600, HTC s620 and lately the Samsung Blackjack II. Each one of these has been a great experience. There are some issues with Windows Mobile; some of those have been fixed in v6.1 and many more that will apparently get fixed in v7 (some time next year I guess). While my phone is a productivity boost when I’m away from my laptop I would never try to replace my laptop with it. It carries some essential information that I need while on the go (contacts and calendar). It’s also a stopgap communications device when I can’t get to a real screen and keyboard. I can’t imagine using it as a primary device of choice to take on a trip. There are a few Windows Mobile devices that do try to take it in that direction. I haven’t tried these but they seem pretty interesting. The HTC Advantage takes Windows Mobile and gives it a decent sized screen (5” 640×480) and keyboard. It is a windows Mobile device though so you’ll need to get a separate mobile number for it or swap your SIM card back and forth from your phone. I can’t imagine trying to make a call from this thing. That would be like the old Nokia n-gage sidecalling debacle we all laughed at a few years back. The Celio Redfly takes a different approach by using a tethered Windows Mobile phone. In much the same way as the Palm Foleo became a companion to Palm phones, the Redfly attaches to a windows Mobile device and extends it with a large screen and keyboard. The difference is that the Redfly has no computing power of its own. It uses the processor on whatever mobile device you’re tethered to. I can see where, in certain scenarios, these would be incredibly useful. As an example, the Redfly is promoted as a productivity tool for sales professionals. These devices are light and have decent battery usage. For my scenarios, though… not so much. Windows Mobile has the best selection of 3rd party applications but not the ones I use on my laptop. Recently we’ve seen a bunch of new devices that take mobile computing in some new and interesting directions in the area of digital books and personal navigation. 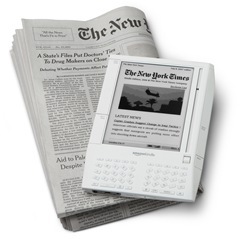 The Amazon Kindle and the Sony Reader both take major steps forward in digitizing books. Doing to books what the portable media player has done to music and movies. Like with any media, these are entirely dependent on content. If the content is not there they don’t stand a chance. If it is there, then they have a chance; if they can get past the usability and pricing concerns that will come up. I haven’t bought in yet but likely soon will. I see obvious uses in certain scenarios (have you seen how many books students have to carry?). E-Ink is what has enabled this category. Amazon in particular has taken the concept a long way forward by making the device wireless so you always have access to a book store to get more content and by making a huge amount of content available. I can’t help but wonder if this category will converge with the laptop. 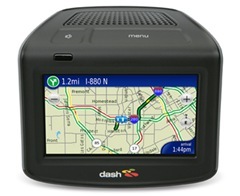 Another product that I found incredibly interesting is the Dash Express portable navigation device. There are dozens (hundreds?) of GPS devices but I’m intrigued by the Express. By sprinkling some intelligence and community onto a GPS and by making the device open for 3rd party development they’re taking the category in a direction no one else is going. As the device matures and the network of people using the Express increases there will no better way to get navigation information. I’m not sure yet how this will affect personal productivity devices. It’s entirely possible that we’ll only want (need?) a few devices that have a screen and know what I want to do and/or where I want to go. On the other hand, it’s a little early to predict convergence on this. There have been all sorts of technology developments that portend an interesting future for mobile devices. In the area of processors the devices will be incredibly powerful soon. Via announced the Nano not too long ago. Intel and AMD are not far behind. Processing power appears to be ready to catch up with the software we need while on the go. The same will happen to graphics processing. And finally in the area of design, Microsoft itself has been seriously thinking about this stuff. We’ve even run a few contests to engage the community in designing the next generation of computers with the Next-Gen PC Design Competition. The technologies I’ve mentioned in this post make me optimistic that the mobile device I dream of will soon be available in one form or another. I haven’t seen it yet but hope springs eternal. Having now mentioned the technologies that I’ve been watching over the past couple of years, let me be more specific about what I’ve been patiently waiting to see. We all have desktops and/or laptops today. We also all have mobile phones today. There is a gap between these two categories that is not being filled. The various technologies that have been released point to the presence of that gap but none have filled it yet. Mostly we’ve seen devices that try to replace one category or the other. Mobile phones will continue to evolve; getting smaller, faster, smarter. While they may continue to acquire additional features mobile phones will not replace my laptop anytime soon. 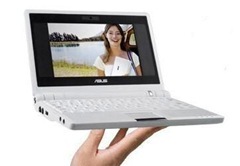 Likewise laptops will get smaller, faster, smarter and acquire additional features. I will continue to need one for a long time. The device that’s missing is between those two. So, yeah, it would be yet another device I would travel with in addition to my phone and laptop. It would be my personal organizer. It’s the one I take to meetings (or students might take to class) to take notes. It’s the one I’ll take home at night and not mind carrying, It’s the one where I do personal brainstorming of ideas when trying to crack a difficult problem. It’s the one that I’ll rely on to track my personal task list. It would do the things that I still use pen and paper for today. Form Factor: Small, light, thin. This device should be no bigger than a 8.5 x 11 pad of paper. Battery Life: Very Long. 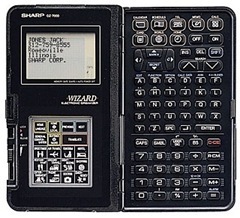 :) This is the holy grail of mobile computing. This device needs to run a full work day on a charge (8-12 hours). Price: Inexpensive. I’m thinking $300 or less. Wishful thinking maybe. $300 is the price point where you probably wouldn’t even think about buying one of these. Any higher and you’re in laptop price territory and then it’s “Hmm. I’ll just use my laptop for that.” I was pleased to see that Dell apparently gets this. Word is that they will release their upcoming E device at the $299 price point. Network: I would expect the device to always be connected. Palm was on to something when they made the Foleo a companion to the Treo. To save on battery life the device should just use the 3G connection I have on my phone. Why would I need another radio, another account/phone number, and another bill to pay. It should also have a WiFi connection that it falls back on when the 3G connection is not available. When neither is available, they should just turn off to conserve the battery life. Ink or Keyboard: To keep the form factor small, thin and light I want this device to be a slate tablet. The inking capabilities in Windows Vista are absolutely incredible; like stuff out of science fiction. For the scenarios I expect to be using this device for, I just don’t need a keyboard. On the other hand many people swear by keyboards and wouldn’t even look at a device that didn’t have one. 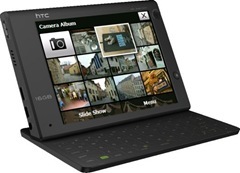 One option that may provide a keyboard without the thickness or weight it would add would be to have a keyboard similar to the one on the HTC Advantage 7510. It has a dual purpose; when traveling it protects the screen, when you do need a full qwerty keyboard, snap the magnetic keyboard in place. Instant On: The device has to power up within a second or so. No 1 minute boot time here. Note Taking: I need software that will allow me to take and organize notes. Office OneNote does this very well. Email/Calendar/Contacts: I live on this today so that’s a must. So yeah, Outlook. Browser: I’m beginning to think the internet is going to definitely catch on soon. Those crazy kids! :) I need to have access no matter where I am. Internet Explorer, please. Sync: I don’t ever want to think about having to move files or data of any kind off this device. It should just happen. I’ll do most of my hard work at my desk so the files should sync up automatically. At a meeting I might take notes, assign myself some tasks, grab someone’s contact info; by the time I get back to my desk all of that information should already be on my desktop/laptop. This is the promise of Live Mesh, so not a big stretch. Palm made their bones on this when they released the Palm Pilot. By guaranteeing that you’d always have your contact and calendar on both your desktop and your PDA they re-invented the category. Contacts and calendar info is very structured. We’ve solved that problem now. I need to do the same thing for the unstructured stuff I use everyday. I know there are many of you out there who agree with this. Or are there? Let me know what you think in the comments section below. If I get enough comments maybe I can start a petition to get the tablet team to build me one. P.S. I started writing this weeks ago in my down time while driving home in the vanpool. It was not intended to be a 3500 word thesis but here I am at the end and there you go. For those that made it this far thanks for reading.